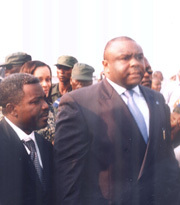 Officials are appealing for calm in the Democratic Republic of Congo, after three days of gunbattles between supporters of the two main presidential candidates. 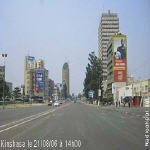 Congolese police and U.N. peacekeepers patrolled the capital Kinshasa on Monday hours after the announcement of an election run-off was overshadowed by battles between soldiers loyal to the two leading candidates. 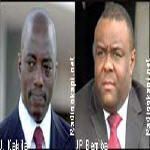 Incumbent Joseph Kabila garnered 44.81% of the vote, while the runner-up, vice-president Jean-Pierre Bemba, collected 20.03%, according to provisional results announced by the CEI late Sunday. They'll be opposed in a second round on October 29. 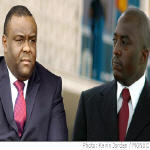 Congolese President Joseph Kabila's guards fought gun battles with forces loyal to election challenger Jean-Pierre Bemba in the capital Kinshasa on Sunday, after poll results showed the two would have to enter a run-off. 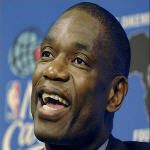 National Basketball Association All-Star and humanitarian Dikembe Mutombo says he has no political affiliation in his native Democratic Republic of Congo. 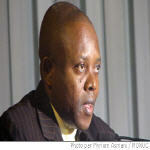 He says he hopes whoever wins the July 30th elections will focus on the country's many problems. 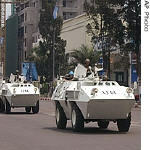 Democratic Republic of Congo's police force flexed its muscles in the country's capital Friday, sending heavily armed patrols onto the streets. 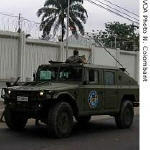 Officials said it was a routine exercise but, coming days before the publication of election results, the move was seen as confrontational by many in the tense capital.